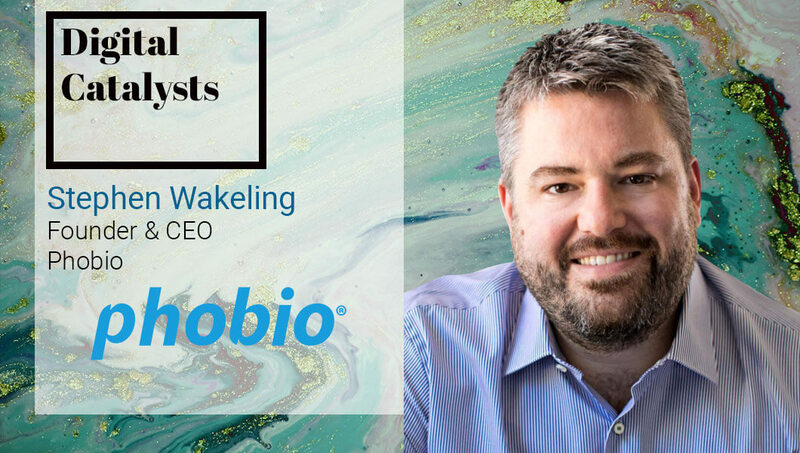 Stephen Wakeling: Phobio, LLC is a software development company that builds optimized software services to support wireless carriers and retailers. Phobio provides outstanding service and support to wireless retailers around the world and to technology companies, such as Apple, Verizon and Samsung. Phobio’s flagship product is SafeTrade, a device trade-in software that offers simple solutions, unmatched support and a risk-free program that guarantees device values to wireless retailers. In 2017, Phobio successfully launched its second product – Rodio – which provides a two-way communication system designed specifically for enterprises to send important updates and messages to remote and geographically-dispersed teams with ease, and that utilizes AI to maximize team engagement. Rodio is aiming to deliver a best-in-market communication tool that integrates with all of the various systems required for teams and individuals to perform and effortlessly connects them with AI. Stephen Wakeling: While our technology can be utilized across many different industries, it is targeted toward dispersed, shift-based workforces. Stephen Wakeling: Most organizations are challenged with communicating effectively. Not just connecting with each other but aligning entire organizations with their strategy and delivering the information that they need to succeed at any given point. When organizations find themselves poorly aligned and disconnected they tend to see weak performance and lots of team turnover. Those are the challenges that are easiest to measure and assign real value to. Stephen Wakeling: Rodio fills a couple of gaps, one of them is cultural. The way we communicate and work together has changed a lot in the past 20 years. More than most, managers and executives probably understand this best. It’s likely that an organization today could have people on the team who received their first email account when it was issued to them by a corporate IT department years ago, when they found it to be a novelty. Now, businesses are hiring people who potentially have never used email for communication beyond confirmations from ecommerce and identity validation for other communication services like Facebook and Slack. That is a big gap. In the middle are people who have always used email as their primary method of communication for their work and life. Not only do we need to be able to align and accommodate all of the constituents on that spectrum, but we need to connect them all with an experience they feel is great. Stephen Wakeling: Rodio was built to connect and galvanize broad-based organizations and disparate workforces by simply lubricating human interaction. This keeps teams informed, aligned, and motivated. The pretty obvious by-products have been better performing and lower churn workforces that demonstrate greater agility and higher capacity. Stephen Wakeling: We are seeing a lot of change in how people organize themselves, communicate with one another and get things done. Absolutely the biggest thing that is going to drive all human interactions with these more numerous and complex systems will be AI. Digital assistance and natural language chat-bot interactions are going to be how you facilitate most of your daily actions in the not-too-distant future. Stephen Wakeling: I’m pretty much addicted to TheVerge.com but for digital transformation issues I generally read the Wall Street Journal CIO report and Forrester Report Daily. Also, I check in with the Frost and Sullivan DT blog once a week or so. Stephen Wakeling: It’s not super focused on digital transformation but anyone trying to better position their organization in the future should read The Signals Are Talking and Daring Greatly. For more DX insights follow Stephen Wakeling on LinkedIn and Twitter.